Local organisations support the Two Castles Run on the day, providing marshals and helping with the details of the Run. To thank these supporters for their efforts, each organisation receives a donation for their own charitable activities from the proceeds of the Run. Local Scouts and Guides offer their enthusiasm and vigour to oil the wheels of the Run. Leek Wootton Guides serve water and clear up the plastic cups out in the countryside. In Kenilworth Castle the Phoenix Kenilworth Explorer Scouts provide extensive help, setting out equipment before the run, providing marshals, manning the finishing compound, and then packing it all away and cleaning up the castle leaving it in a pristine condition at the end of the run. 8th Kenilworth Guides also provide help giving runners a much needed drink inside the castle. It is a win-win situation. The Two Castles Run benefits from their support and in return they receive donations from the proceeds of the Run to support their own activities. 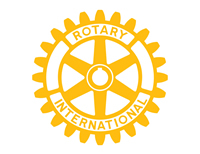 These Rotary Clubs also share in the success of the Two Castles Run through donations to their own Rotary charitable activities.